The national educational strategy has recognised that children from socially and economically disadvantaged communities are more likely to experience numeracy difficulties and this partnership has come up with an innovative programme to address this challenge. 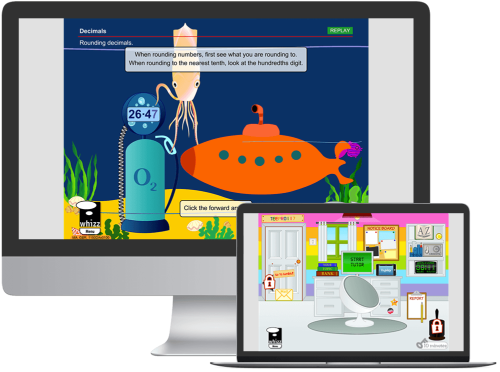 The programme uses a virtual maths tuition programme tailored to meet the unique needs of every child called Maths Whizz. 230 children from St. James’s Primary School, Basin Lane, Dublin 8, The Aisling Project, Ballymun and Ringsend & Irishtown Homework Club will benefit from the programme which will be delivered by Camara Education. The goal of this partnership is to have a measurable impact on these children’s numeracy education over a multi-year relationship. Linesight employees will also receive training and support to volunteer in the programme and support the children who need our help most. Research by Whizz Education conducted with over 12,000 students and verified by independent experts demonstrates that children who learn with the Math-Whizz Tutor for 45-60 minutes per week increase their Math Age by an average of 18 months in their first year.